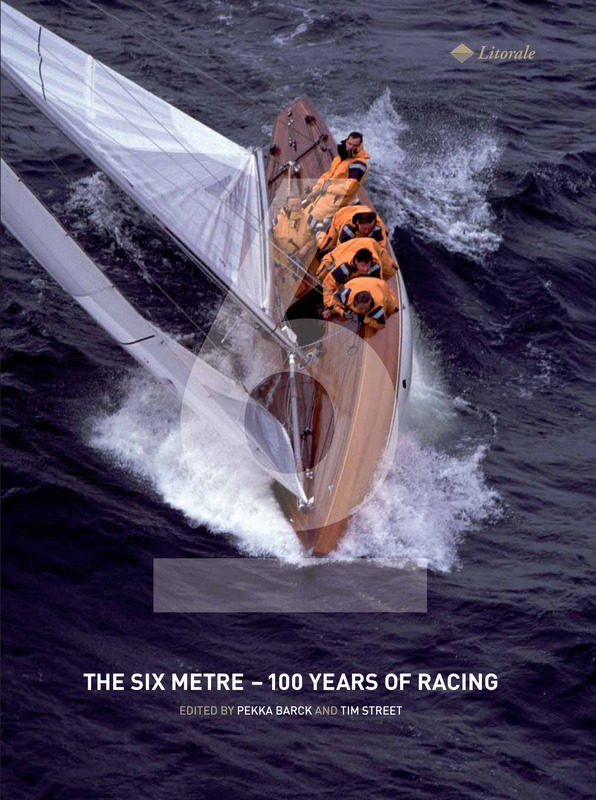 "The Six Metre – 100 years of racing" has been prepared by Pekka Barck and Tim Street and since January 2007 supported by Olin Stephens, Ian Howlett, Basil Carmody, Matt Cockburn, Philippe Goetz, Juliene Hempel, Björn Storsberg, Bernard Haissly, Claes Ahlin, Peter Norlin, Torben Grael and tens of other contributors. The rule and development of the class, all major trophies and races, country specific stories, designers, statistics, tables and some yachts are presented in the 304-page, 4 pound coffee-table book having all you need to know and much more about the Six-Metre class. All this is salted with tens of anecdotes and hundreds of pictures by Patricia Lascabannes from France, Beken & Sons from UK, Abel from Norway, Bertil Norberg from Sweden, Edwin Lewick from USA, Katrin Storsberg from Germany, Gilles Favez from Switzerland, Ari Thiel and Hannu Bask from Finland and many others.